The LSCC is located in E-311 Given Building. It is normally open during normal working hours (approximately 8:30am - 5pm Monday - Friday) and can be scheduled for classes and workshops.The Center is available for UVM affiliates who are interested in computing in the life sciences. Undergraduates interested in Bioinformatics or Structural Biology are particularly encouraged to visit. 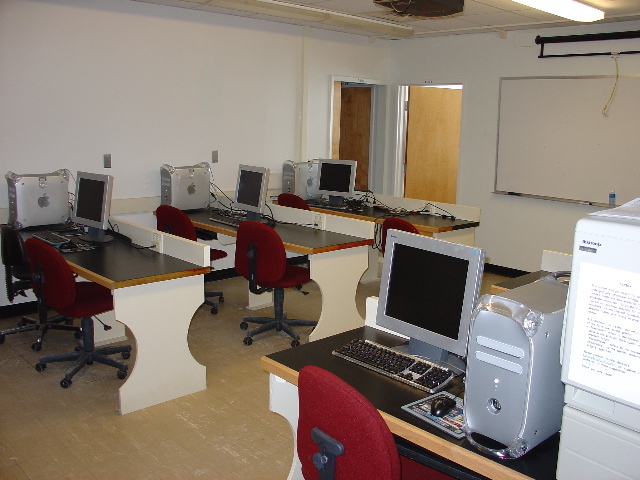 The LSCC includes state of the art hardware, software and peripherals arranged in a classroom setting. There is on-site help available. Stop by, call Janet Murry at 656-3493 or write us e-mail for more information about the LSCC, the software and hardware available, our policies and other questions you might have.